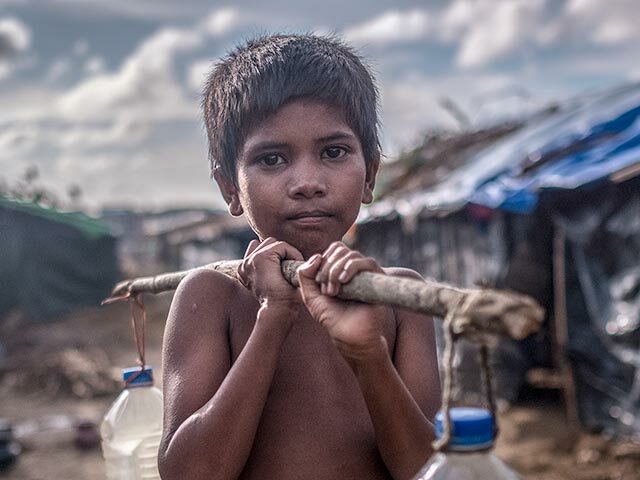 Shohide*, 6, fetched this water from a muddy stream in one of the many refugee camp in Bangladesh. This is the only source of water available to him. Installing pumps and providing purification tablets reduces the spread of disease. It’s raining again in Bangladesh, turning everything into mud. It’s monsoon season, which means water is abundant. 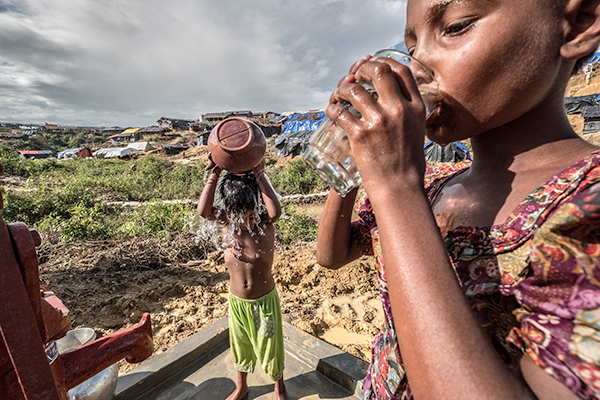 But for Rohingya children living in refugee camps in Bangladesh like Shohide, 6, getting clean drinking water is a challenge. It means walking in ankle deep mud to a small stream, painstakingly filling jugs or bottles with filthy water before carrying them back home. And then doing it again. Our member agencies are on the ground, distributing purification tablets and installing well pumps, but more is needed. 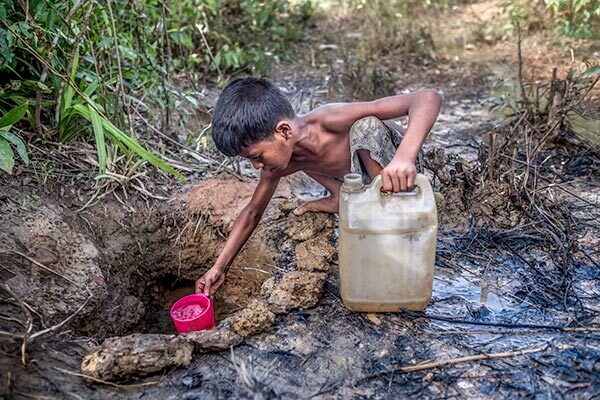 The demand for clean water, basic hygiene products and health services is increasing at an alarming rate. The large concentration of individuals combined with the lack of access to safe water and sanitation creates a hotbed for the spread of disease. Clean water means life and health.